Darlene was born March 25, 1956 in Oakland, CA and lost her long and courageous battle with cancer on January 10, 2014 at the age of 57. 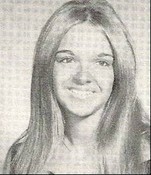 Darlene attended St. Leander's grammar school, John Muir Junior High and Pacific High School in San Leandro. She worked at Bay Area Filtration for several years. Darlene loved her family dearly and had a big loving heart for all those she met in life. She also loved all animals, especially her darling dog "Biscuit" who was her constant companion for the last two years She is survived by her son, Derrick Roderick, her daughter-in-law Maria Roderick, her daughter, Danielle Roderick, her parents, John and Hilda Jones, her brother Robert Jones and wife Barbara, her sister Dolores Robison and several nieces, nephews and cousins. she is preceded in death by her sister Linda Jones. She enjoyed watching football -her team was the "49ers"! She will be missed by all who loved her and will always hold a special place in the hearts of her family. The family would like to thank The Women's Support Group for continual Support Group. Donations can be made to Neighborhood Church (Women's Cancer Castro Valley Support Group) 20600 John Dr., Castro Valley, CA 94546. Sorry to hear about Darlene's passing. Darlene and I attended Saint Leander's school and Pacific High School. After graduation she and I married quite soon after graduation. We were "BLISSFULLY PREGNANT" at the same time in our lives! It saddens my heart to hear of her loss in the battle against cancer. I just now found out about her death, She and her family will be in my prayers may God Bless !! !